The South Central Kentucky Beekeeping School will be held Saturday, February 6 from 8:45 a.m.-3 p.m. CST at James Bazzell Middle School, 201 New Gallatin Road in Scottsville. Special speakers will include Phil Craft, retired Kentucky State Apiarist; Kent Williams, EAS Master Beekeeper; Tammy Potter Horn, current Kentucky State Apiarist and John Benham, past president of KSBA as well as classes given by many other experienced and accomplished beekeepers. 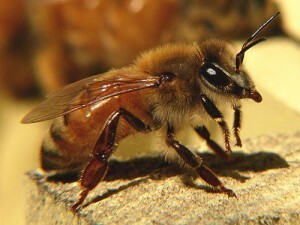 Classes will cover beekeeping for beginners through advanced beekeeping topics. Registration begins at 7:45. Cost is $10 per person, $15 per couple, and $25 for FFA, Girl Scouts, and other groups. A catered barbecue lunch will be available for purchase. Vendors will be on site. For more information contact John Pace 270-651-6507 or Michele Boling 270-792-9015, mlboling44@gmail.com.